When I started my photography business I never imagined being known as a ‘beach photographer’. Somehow that changed about 6 years ago when I started doing more and more after photographing a very lovely senior girl at her local beach. I was completely blown away by its beauty and started returning spring, summer and fall, year after year. I never tire of it because my clients are promised something unique from Mother Nature each and every time. No one evening looks the same. The beach landscape is ever changing as the tides wash in and create pristine, smooth sand as far as you can see to being tousled with rocks and seaweed. Always a surprise, I never know what it will be until I crest the dune and behold what is in store for myself and my clients. We have beared muggy nights, braved the cold, stood strong against tumultous tides, in awe of sunsets that left us never wanting to leave until there was no more light and moon rises that took our breath away. Yes, it certainly does hold you in it’s wonder…. 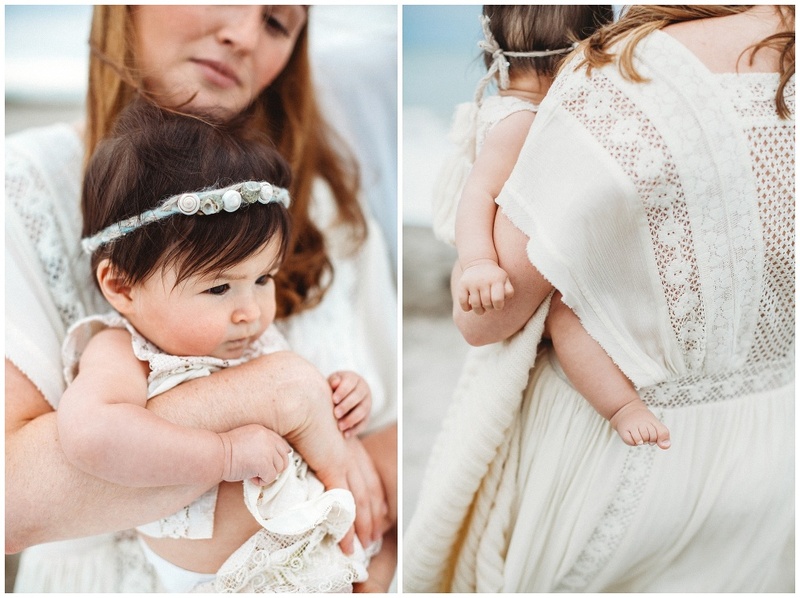 With that all said, here is a mini session from last September of prescious little Addie Rose and her adoring parents. 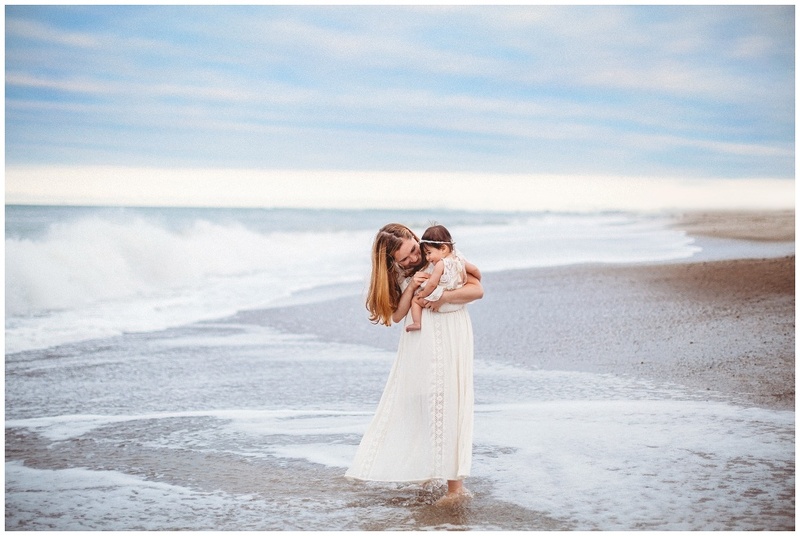 I was lucky enough to photograph this pretty mama’s maternity session as well as their newborn session. I couldn’t wait to see Addie in person again as we had stayed in touch and I was updated with adorable photos of her throughout the spring. It was a blustery day and the wind seemed to confuse her a bit and the cold air nipped her little toes. 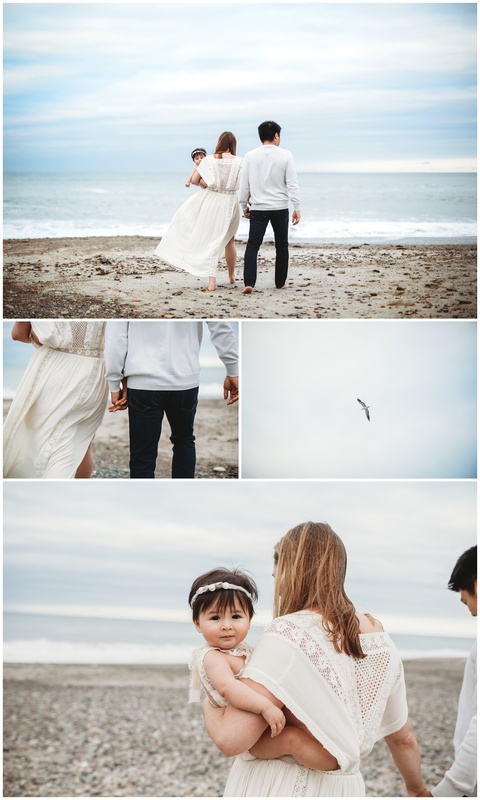 Though we didn’t get too many smiles I am still loving these images <3 There are some new beaches that I want to explore more and feel that they would really lend themselves to a gorgeous winter beach session. I’m running a special on sessions that take place thru March 30th. Reach out to find our more info! !